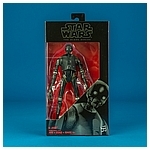 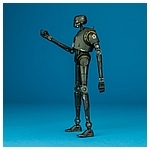 The 24 K-2SO action figure featured on this page was one of the five action figures released in The Black Series 6-inch numeric action figure collection on September 30, 2016 as part of Lucasfilm's Force Friday international event. 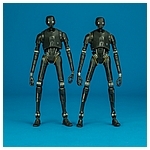 This assortment also included 22 Sergeant Jyn Erso (Jedha), 23 Captain Cassian Andor (Eadu), and 25 Imperial Death Trooper, all from the Rogue One along with 26 Kylo Ren (Unmasked) from The Force Awakens. 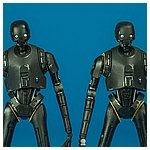 While the Jyn and Kylo were both made available in alternative packaging at the 2016 summer conventions, the other figures in this wave are all character / costume debuts. 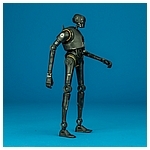 The following June, Hasbro released a repainted version of the reprogrammed Imperial droid. 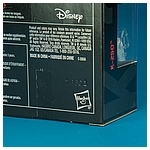 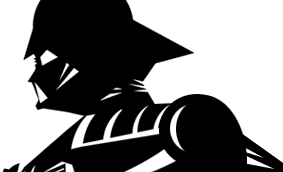 The new version featured 'pupils' in its eyes.